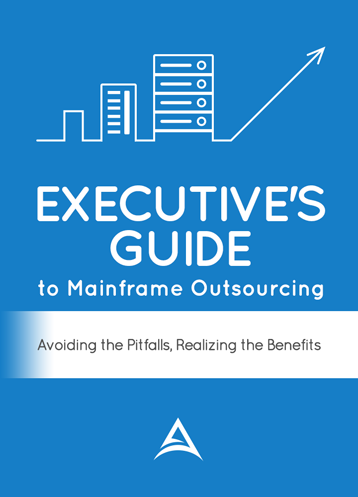 Looking for Mainframe Outsourcing Vendors? Are you looking for a mainframe outsourcing vendor but don’t know where to start? There are thousands of hosting providers in the marketplace and that number is increasing every year. Finding and evaluating the best vendors is an art as much as a science. There are objective and subjective differentiators that need to be addressed. Searching on Google for a vendor and checking out their website is not going to give you the information that you need to make a sound decision. Vendors are either great at marketing or they are great at servicing their clients, it is rare to find both. That is why we developed our Vendor Matching Service. Simply enter your requirements below and we will provide you with a list of qualified mainframe outsourcing vendors that match your needs. We will email you a list of mainframe outsourcing vendors that match your requirements. Download our FREE Executive Guide!